On Wednesday many people around the world will celebrate a holiday that has to do with doors. 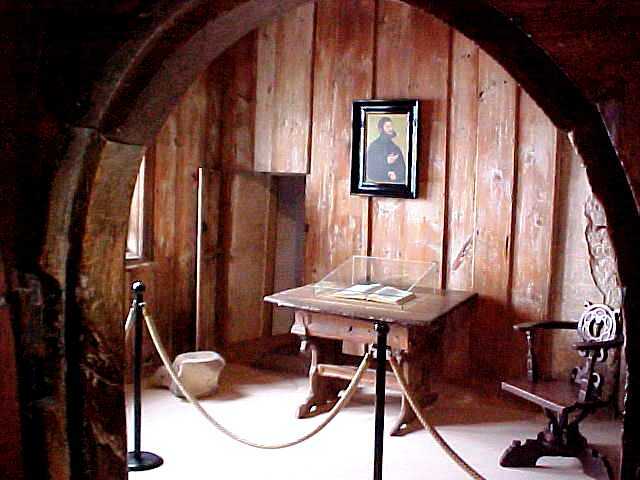 On October 31, 1517 Martin Luther posted his 95 Thesis to the doors of the Castle Church in Wittenberg. The original wooden doors were destroyed over 250 years ago by fire. The current doors are made of bronze and have hung there since 1858. 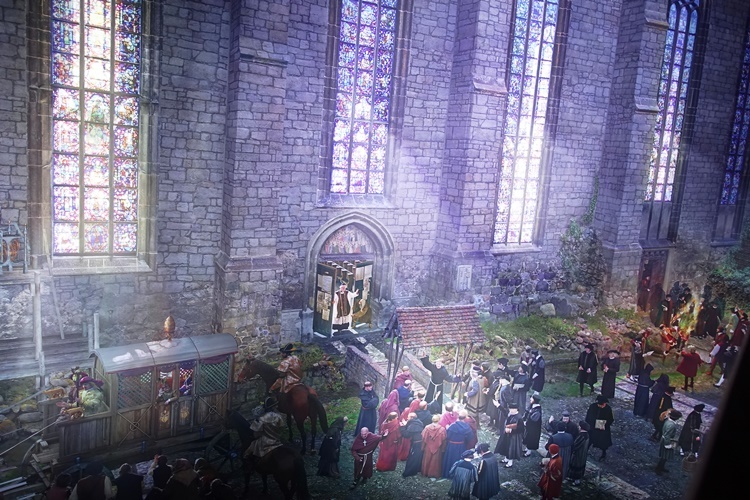 This event is considered the spark that ignited the Reformation Movement. One of the reminders I received about the holiday this week was the fact that some of our German offices will be closed on Wednesday for Reformation Day. Our other German offices will be closed on Thursday and Friday for another holiday. What is the difference? Our offices in Jena are in the Protestant area of the country and they celebrate Reformation Day and our offices in Munich and Oberkochen are in the Catholic area that celebrates All Saint’s Day and All Souls Day. 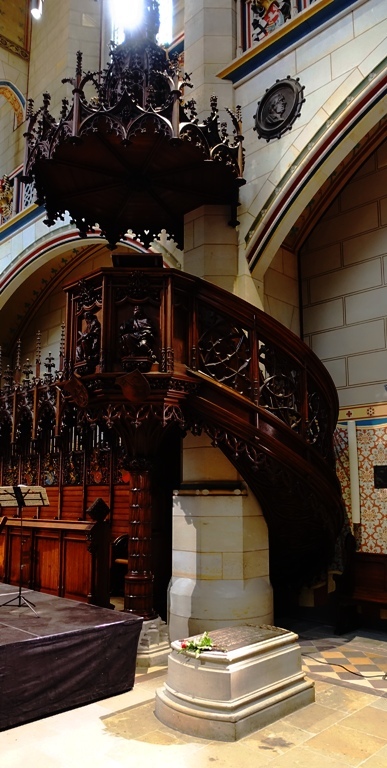 Inside the Castle Church in Wittenberg is the grave of Martin Luther. He is buried not far from where he made his post on the doors of the church. I have written several posts about Martin Luther and the Reformation Movement. You can find links to some of these posts by visiting Reformation Day Posts. 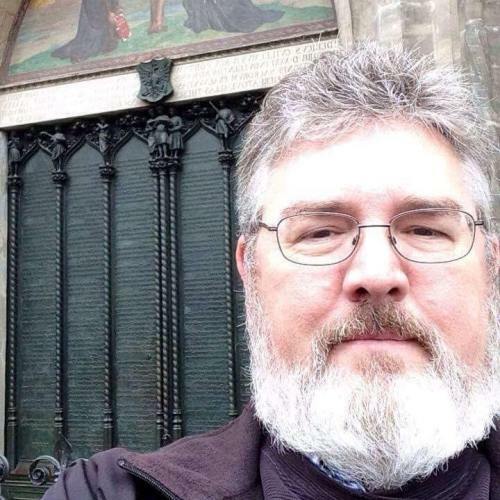 Here I am in front of the doors in Wittenberg. It was an interesting visit and I hope to go there again someday. Now to finish getting my costume together for tomorrow at work to celebrate that other holiday that is on the same day. Hmm, it also has to do with doors. 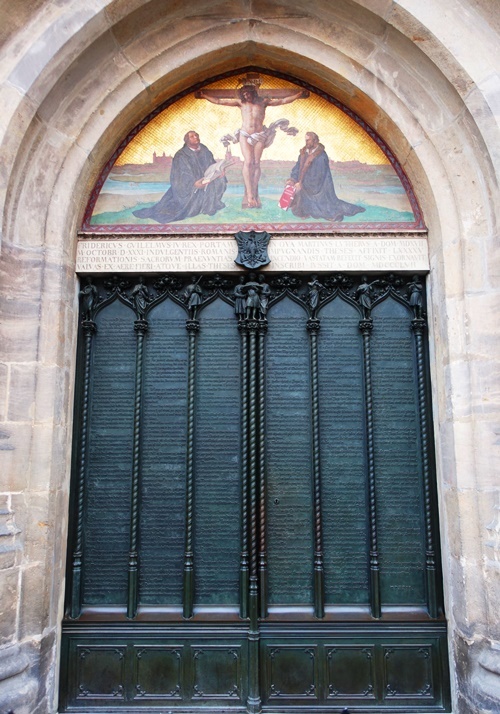 This entry was posted in Culture, Germany, History, Holidays and tagged doors, Luther's Grave, Martin Luther, Reformation Day, Religion, Wittenberg Germany. Bookmark the permalink.